After 4 and half hours in the bus, Tornado could not give its best in Fontenay Sous Bois. The first period started with Tornado's puck control. After a few good chances Tornado managed to score twice. Unassisted goals were scored by Jonas Mullo and Henri Öörni. In the end of the period a tiny accident happened in Tornado's breakout and Fontenay punished directly with a goal. 1-2 after 20 minutes. In the second period the same storyline continued. Tornado was controlling the game, but Fontenay managed to produce a few counter attacks. In this period Tornado scored three goals by Shorty Müller, Colm Cannon and Marcus Eriksson, who scored a shorthanded goal while Teemu Hinkula was suffering one of his three penalties. Fontenay managed to score on one of their counters and the game was 5-2 after two periods. Third period didn't change anything. This time Tornado scored two goals by Thierry Beran and Shorty Müller. Fontenay scored one again and the game ended 7-3 to Tornado. As said it wasn't the best Tornado today but all the points are needed. A positive thing in the game was that Tornado could use all of their 18 players all the time and Jesper Miquel on the net did a good job. 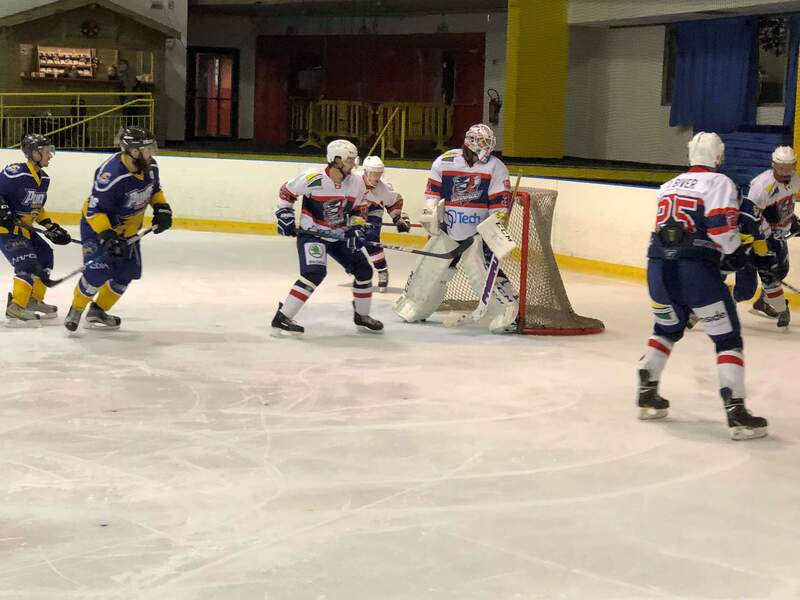 Next weekend Tornado will have a free weekend from division 3 but there will be the popular Veterans Day game against the hockey team of Spangdahlem's US army base added with some guys from Bitburg. Next division 3 game will be the week after the Veterans Day game when Fontenay will come to Kockelscheuer. So there will be a lot of entertainment ahead for the hockey fans in Luxembourg. Enjoy! #biggertogether. Written by Teemu Hinkula, 10/11/2018 23:17.